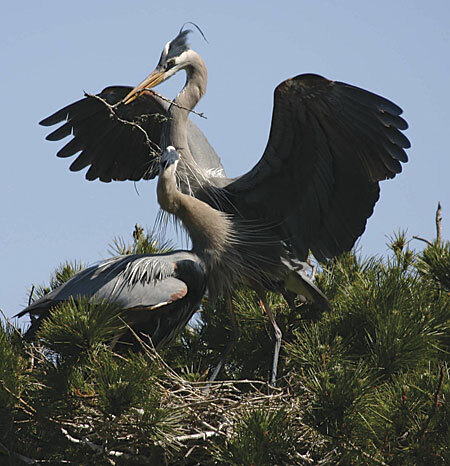 Photographer and Chapter member Michael Mitchell was lucky enough to catch these Great Blue Herons mating at Point Lobos. 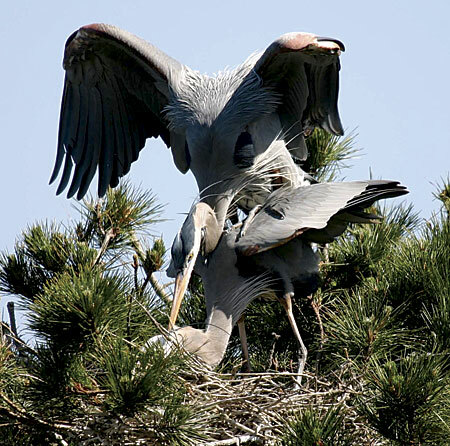 After the male heron has collected a stick to use in nest building and has presented it to the female, he may be lucky in love. When eggs are laid, both the male and female share incubation duties. Chicks are born nearly naked with their eyes tightly closed. 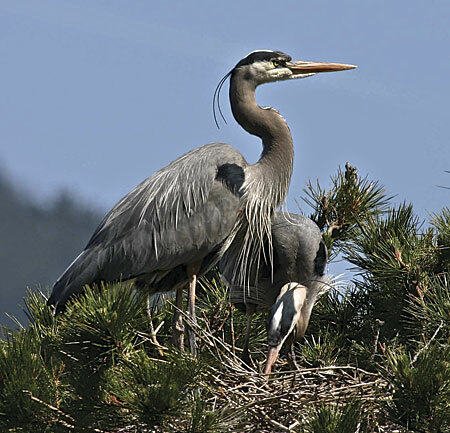 Great Blue Herons are found on the Central Coast year round.